This unique double house sits on an extra-wide lot in a neighborhood that is primarily single family. The house was designed to give the appearance of a single-family home. 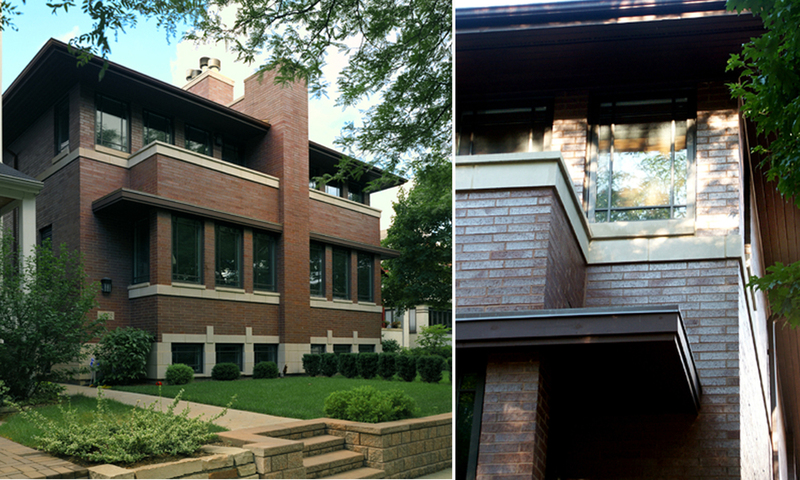 The design employs the Prairie School language of Frank Lloyd Wright with a hipped roof, large overhangs, Norman brick, and horizontal stone banding.